If you’re struggling with setting up a social media ad campaign, Twitter (NYSE:TWTR) has just introduced a solution right up your alley. The new Twitter Promote Mode is an “always-on, amplification engine” which automatically boosts tweets and profiles. By repeatedly promoting tweets, Promote Mode consistently attracts more followers and creates additional reach. The Promote Mode feature costs a flat fee of $99 a month. Small businesses recognize the importance of using Twitter to grow their online presence, reach out and engage with customers and ultimately help sell more products or services. However, devoting sufficient time and knowing how to adequately market on Twitter can be difficult for many small businesses. Promote Mode allows small businesses to carry out effective ad campaigns on Twitter — with barely any effort. 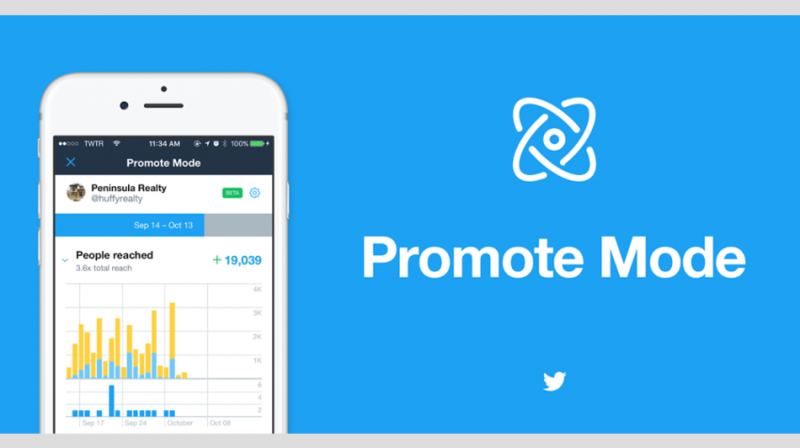 In an official post about the launch of Promote Mode, Wook Chung, Director of Product Management at Twitter, explained how the social media channel’s first subscription ad product is designed to benefit small businesses. The Promote Mode feature is designed to be accessed on mobile devices using the Twitter app. Small businesses can conveniently access the Promote Mode dashboard by tapping the Promote Mode icon from within the app. On the dashboard, businesses will be able to gain insight into how much the feature is enriching their Twitter profile, including how many more followers they have gained, and how many people have visited their profile that month. How well businesses perform using Promote Mode will be influenced on various factors, such as their target market selection and the frequency and content of their tweets.